The day’s hearings leave us in suspense, with Judge G. Murray Snow stating that he is considering criminal referrals of Joe Arpaio, Gerald Sheridan, Capt. Bailey and Michele Iafrate. Yes, that last one was the MCSO’s attorney, who IIRC advised her clients not to disclose to the Court that they had confiscated IDs that they were under orders to produce. Security was high with 7 US Marshals in attendance and social media reports of more outside. The courtroom itself was packed. 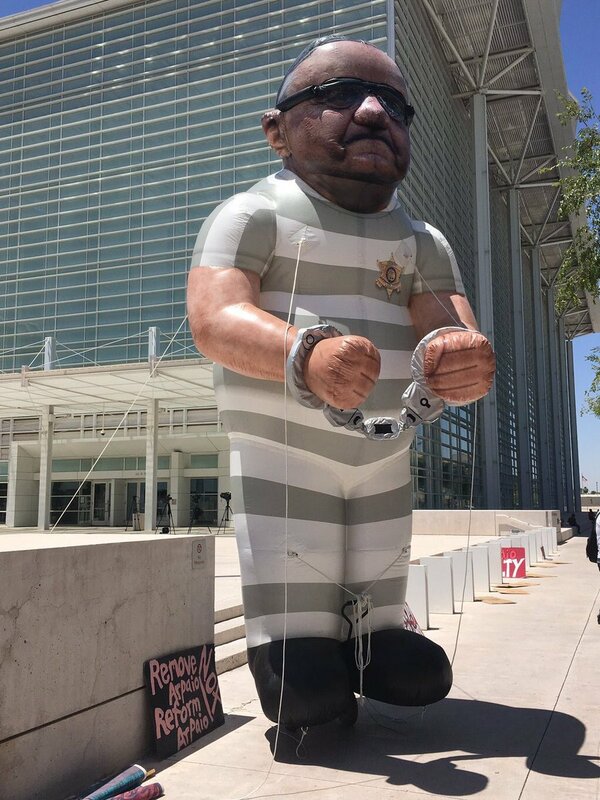 Protest signs, and even a custom Arpaio in prison garb balloon were on display outside the courthouse. The parties in the case have been negotiating recompense to the victims of illegal detention, and Judge Snow settled on $1,000 for the first hour plus $200 for every 20 minutes over, reports Megan Cassidy of the The Republic. $125,000 to $200,000 will be earmarked for notifying members of the Plaintiff class. Certain parts of the MCSO, particularly the Internal Affairs division may be taken into receivership. Sheriff Joe appeared defeated sitting at the Defendant’s table, as he picked at his wedding ring. Larry Klayman was in court for part of the morning, but then left. Mike Zullo did not appear. No definite date was set for final orders. Follow this topic on Twitter under the hashtag #arpaiocontempt. News updates will be added to this article. Birther attorney Larry Klayman reports that he will be at the Melendres v. Arpaio hearing May 31, and will hold a press conference afterwards. The Ninth Circuit Court of Appeals in a brief order Friday, granted Klayman’s motion to expedite the appeal of Dennis Montgomery (whom Klayman represents, but who is not directly a party to the Melendres case) to intervene in the case. That order comes too late to affect Tuesday’s hearing. Earlier this month federal district judge G. Murray Snow found Joe Arpaio and three of his current and former staff members guilty of civil contempt of court. Tuesday’s hearing will address penalties and possible referral of one or more defendants to the Department of Justice for prosecution of criminal contempt (and possibly other charges such as obstruction of justice and perjury). Judge Snow went so far as to call the evidence of Montgomery’s fraud “overwhelming” (362). This is not, however, one of the findings of fact, but rather a point used in reaching a finding against the defendants. I seems unlikely to this observer that Judge Snow will make any criminal referral of Dennis Montgomery. First and foremost, Montgomery was not a party to the Court’s order and did not disobey it. Further, Montgomery did not harm plaintiffs in the Melendres case and therefore is not part of any remedy due them. Lastly there is the question of jurisdiction because of where Montgomery committed fraud. It would seem that the ones who should rightly pursue charges against Dennis Montgomery would be his victims, the Maricopa County Sheriff’s Office, and the people of Maricopa County. 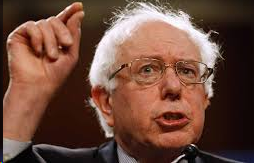 I was mildly amused the first time I heard the phrase “full birther.” It made me wonder what a half birther or a quarter birther was, following the example of the quarter, half, three quarter and full nelson wrestling holds. 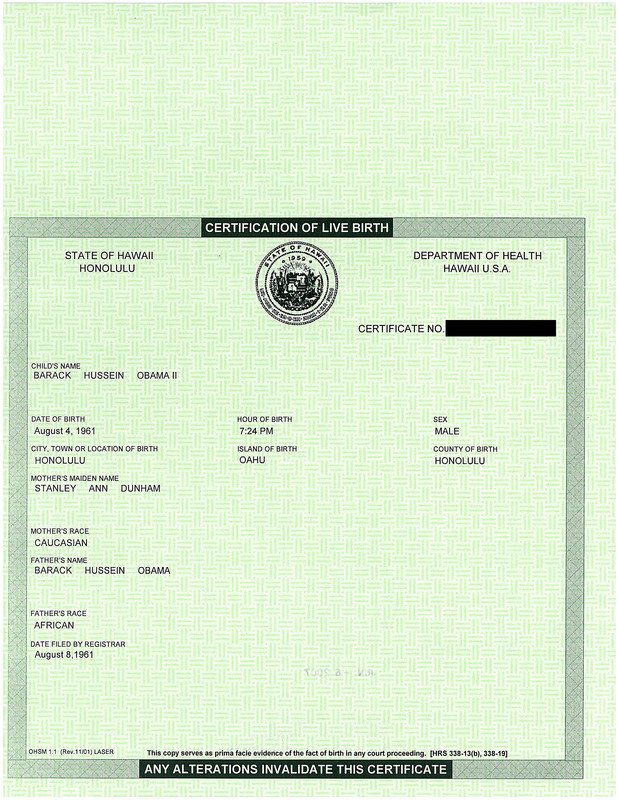 What I found in practice was that the term “full birther” was not used in the literal sense to describe something like Victoria Jackson’s song, “Yes I’m a birther (and I’m really, really proud)” but rather some less specific birtheresque remark, sometimes posed as a question, or a qualification like “As far as I know.” Nowadays, “full birther” is not limited to Barack Obama, for example, those challenging the eligibility of Ted Cruz got the label far more often than Obama birthers. The most recent example is found at Salon.com describing a Tweet from Ann Coulter criticizing Obama’s visit to Hiroshima, Japan, saying “For someone ‘born in Hawaii,’ you’d think Obama would prefer visiting Pearl Harbor.” A couple of quotation marks is sufficient to go full birther. The hearing at which judge G. Murray Snow will hear final arguments on the possible criminal referral of birther1 Sheriff Joe Arpaio et al. is scheduled for next Tuesday, May 31, and no delays are visible on the horizon. Modification to the Supplemental Permanent injunction to address defendant’s pattern of noncompliance. Criminal referral, as civil remedies are inadequate. Criminal contempt, perjury, obstruction of justice and making false statements to the Court-appointed Monitor. 5-27-16 1684.1– Melendres v Arpaio – PLAINTIFFS’ Exhibits – These include judicial decisions in similar cases, and a draft methodology for compensating victims. 5-27-16 1687.0 – Melendres v Arpaio – DEFENDANTS ARPAIO, SHERIDAN & SOUSA RESPONSIVE MEMORANDUM TO COURT’S FINDINGS OF FACT – Defendants offer several remedies including donating $100,000 to a “civil rights organization” rather than to the specific victims of illegal detention as requested by the Government. The document refers to ongoing negotiations among the parties. 5-27-16 1687.1 – Melendres v Arpaio – ARPAIO, SHERIDAN & SOUSA EXHIBITS – Draft compensation methodology, as seen in earlier exhibits. 5-27-16 1688.0 – Melendres v Arpaio – DEFENDANT MARICOPA COUNTY’S MEMO IN RESPONSE TO COURT’S ORDER OF 5-13-16 – DOC 1677 – We can’t be asked to fund remedies related to willful or contemptuous conduct by others. One issue that will have to be resolved is whether any of the misconduct detailed in these documents is outside of the scope of the original injunction, and therefore not redressable in this case. The deficiencies of internal affairs investigations comes to mind. 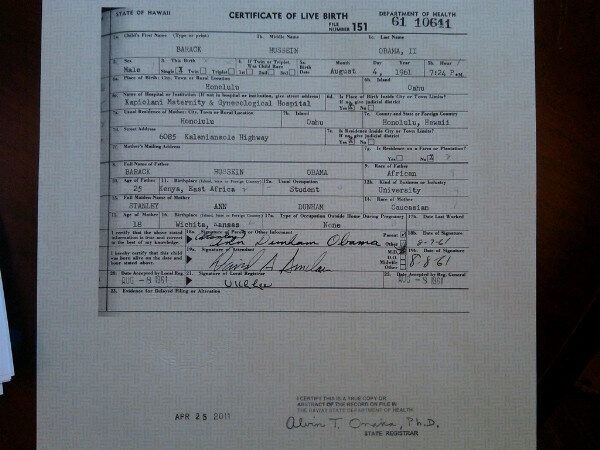 Not so many years ago, before he was a candidate, he was involved in a so-called birther movement. 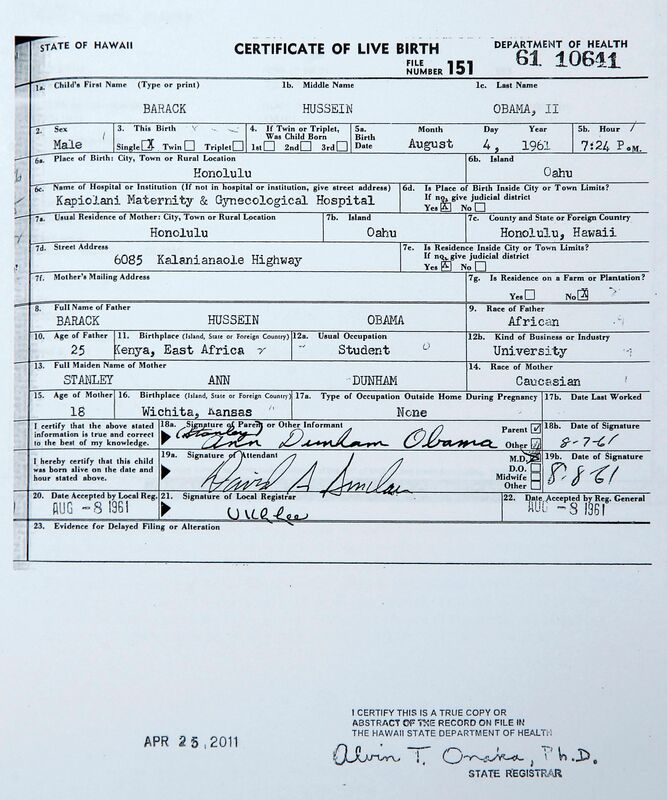 The birther movement was delegitmizing President Obama by claiming that he was not born in the United States. That was very ugly effort to delegitimize the presidency of the first African American president in our history — not acceptable. The title comes from a post by ramboike at BirtherReport back in March of this year, and is characteristic of language he uses to describe us, for example here, here, here, here, here, here, here, here, here, here, here, here, here, here, here, here, here, here, here, here, here, here, here, here, here and here.1 (Until I did this search, I had no idea that ramboike2 commented that much at BR about this site.) One of the tools of propagandists is repetition and I would certainly put the examples I linked to as an example of the use of repetition for a propaganda purpose. Another tool of the propagandist is rhetorical fallacy. In this case “Dr Con’s leftist propaganda site” is an example of the genetic fallacy, poisoning the well – “Don’t pay them any attention. 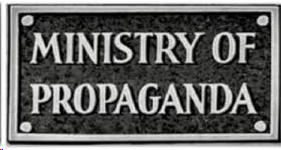 They’re just a propaganda site.” That’s the pot calling the kettle black. In times past, every Birther Report article has some footer material promoting birther themes; it was the same on every article and I called it propaganda. I can’t pick on them for this any more because the footer material has gone away. The only propaganda element I see in the frame of Birther Report is the graphic denigrating mainstream news, with the caption: “They ignore / We Report / You Decide.” In fact, birthers have gotten quite a lot of coverage in the mainstream media, continuing to this very day. Of course unverifiable claims and blatantly false material don’t make it into the mainstream media. I think that if mine was an intentional propaganda site, it would look very different. 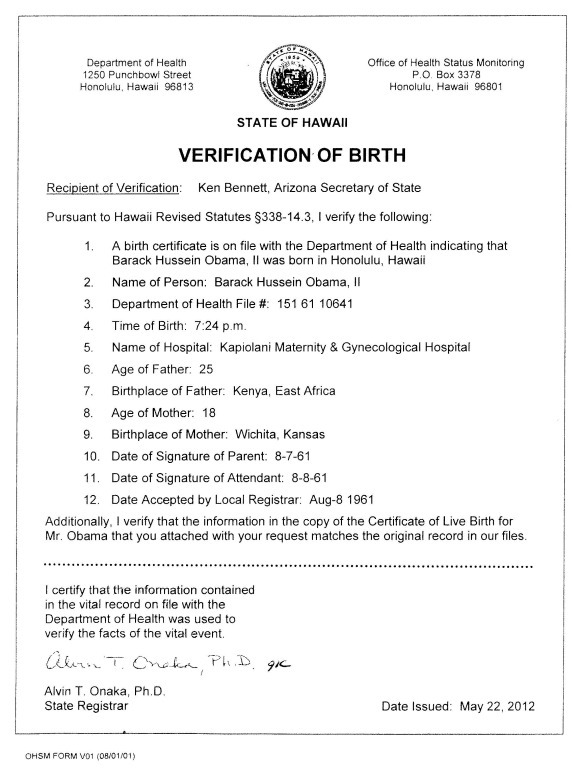 A anti-birther propaganda site would repeat birther failures on every page. It would always refer to Birther Report as a right-wing conspiracy site. I don’t have an editorial board to review everything I write for potential bias, and to enforce fairness, but it is my intent to inform through facts and rational argument. That’s debate, not propaganda. I try to put people that I disagree with in the best light I can (not always possible). I think that the facts speak for themselves, and there’s no need for me to attempt to push anyone in any direction through trickery. When commenting on other sites, I do intentionally use repetition, for example the phrase “fell apart under scrutiny” when referring to the Cold Case Posse theories or “long debunked” for other conspiracy theories. In this case I do it to persuade, but not to mislead. 1I regularly download comments from Intense Debate, which allows me to search them for user and keyword. 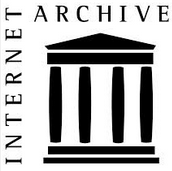 The URL’s under “here” in the list are correct for the comment, but Birther Report’s structure doesn’t allow the user to directly link to the comment. What a reader here would have to do is to follow the hyperlink, expand all of the comment replies, and search for the word “propaganda” in posts by ramboike. 2Ramboike is banned on this site because his comments are so outrageous as to provoke endless response, generally hijacking the site to be about ramboike rather than Obama Conspiracy Theories.